Monitored the sun for sunspot activity. 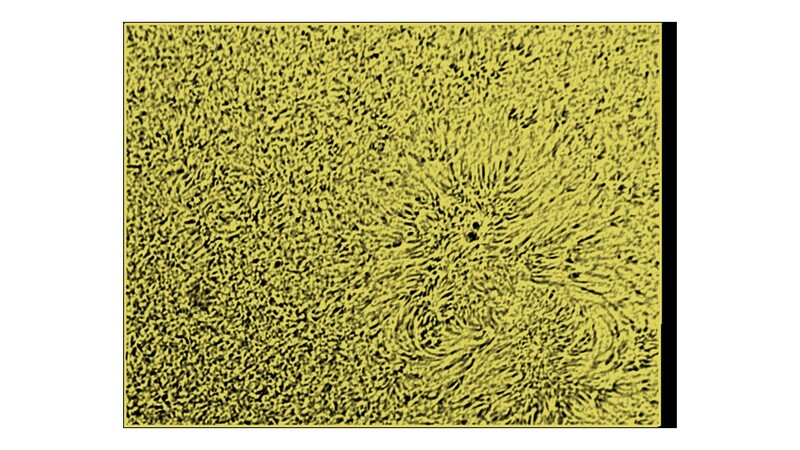 Only two sunspots were found, close to each other. Prominences were very small. No flares or filaments were seen. Photos were taken with the Skyris camera and the best image processed in Autostakkert, Registax, Photoshop, and PowerPoint to colorize and bring out contrast. The results are attached.